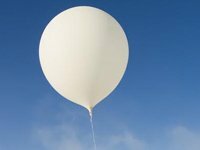 Two basic types of meteorological balloons are available from NovaLynx. Pilot (or ceiling) balloons are tracked with a theodolite, sounding balloons can carry a radiosonde (or other payload) aloft. NovaLynx offers a selection of sensors for measuring visibility and cloud height.